ashlee nicole spills | blog: We'll Always Love Big Poppa! On March 9, 1997, Christopher Wallace aka The Notorious B.I.G., aka Biggie, aka the many names he had, was killed in Los Angeles. He was 24. Today marks the 13th year anniversary of Biggie's death. 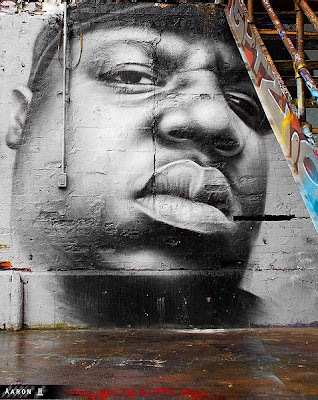 BIG was one of the greatest and most popular rappers known to date. We all love him, and continue to keep his legacy alive. Diddy made it a point to have everyone on twitter join him in paying homage to the late great rapper. By the time he tweeted a couple of lines in honor of his bestfriend, it took the rest of twitterville no time to quote their favorite Biggie lyrics and make #ripbig the number one trending topic.